Home / Bigg Boss 12 / Gossip / Romil Chaudhary / Romil Chaudhary to take money Briefcase and quit the show? 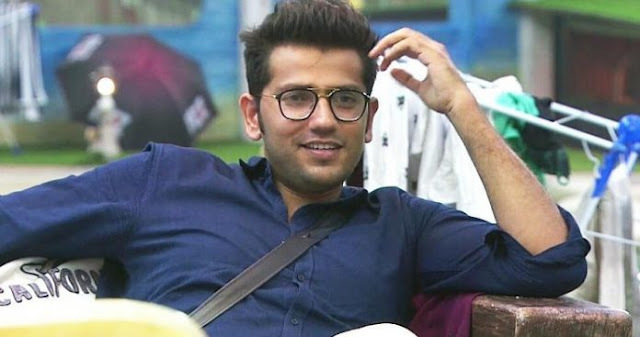 Romil Chaudhary to take money Briefcase and quit the show? Bigg Boss 12 is inching towards it’s finale and everyone is wondering who all will battle it out in the grand finale. Recently, Surbhi Rana gets evicted in the mid-week eviction. The contestants who left in the house are Dipika Kakar, Sreesanth, Karanvir Bohra, Deepak Thakur and Romil Chaudhary. And now comes one of the most challenging times in the house- the task where one of the Top 5 contestants gets to pick up a case full of money and leave the house. And now, according to reports, Romil Choudhary who has been the mastermind of the season might take the briefcase and quit the show. In fact, The Khabri even tweeted that it will be Romil who will pick money and quit the game. Romil is a lawyer by profession. He entered the house as a commoner contestant. He is good friends with Nirmal Singh who entered the Bigg Boss 12 house with him as a commoner Jodi. He participated in tasks and been a part of manipulations as well. His friendship with Somi Khan was quite talked about as well. Meanwhile, Bigg Boss 12 finale will air on December 30 from 9 pm onwards.